Many directors had already envisioned a movie remake of Andrew Lloyd Webber's famous musical about the life of Eva Peron. 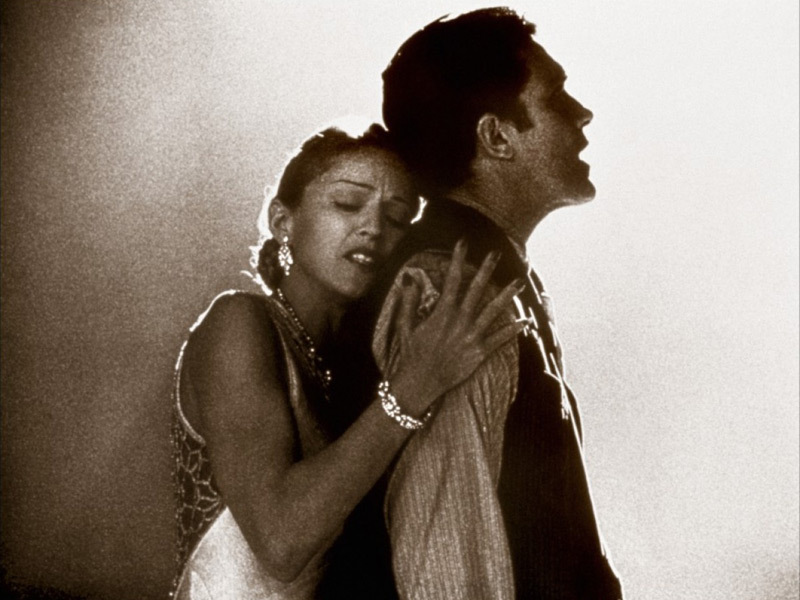 When Oliver Stone gave up, Alan Parker gave it a try and he succeeded. 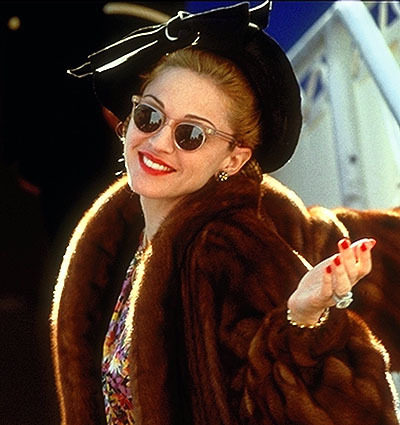 Lots of speculation surrounded the casting of the leading role: famous actresses as Michelle Pfeiffer and Meryl Streep showed intrest in the role. 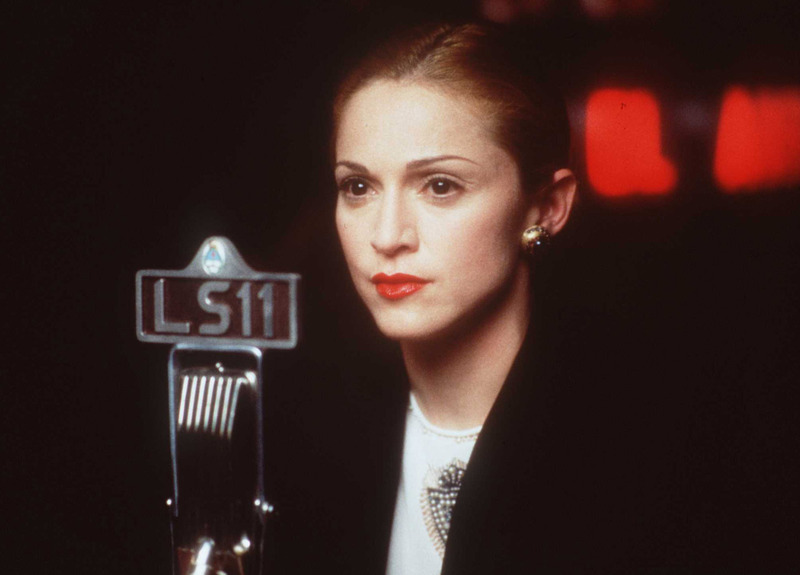 Eventually it was Madonna who convinced Parker by sending him a long letter, argumenting she was perfect for the job. 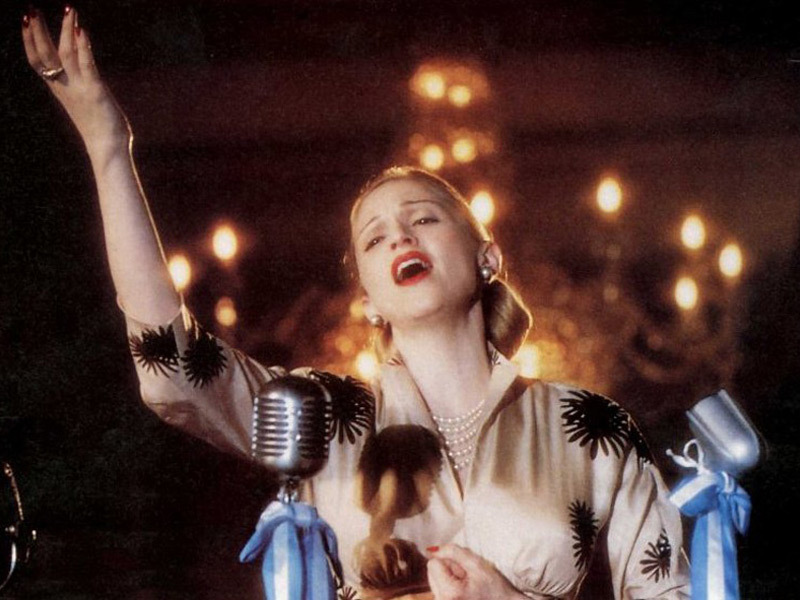 She included her video for Take A Bow, which showcased a look, inspired by Evita. 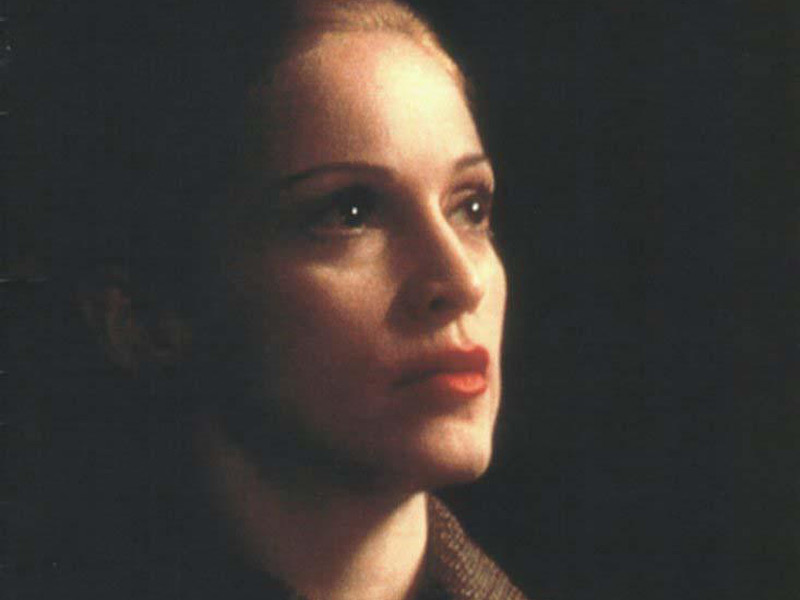 Nobody knows what convinced Alan Parker the most, but fact is that Madonna's road to fame resembles a lot the one of Eva Peron. 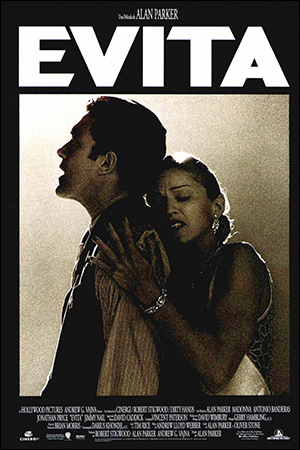 MPAA rating: PG for thematic elements, images of violence and some mild language. 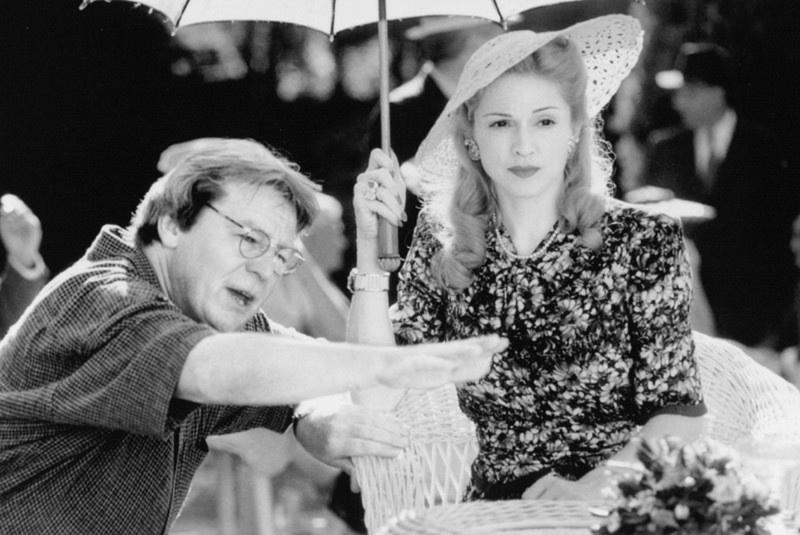 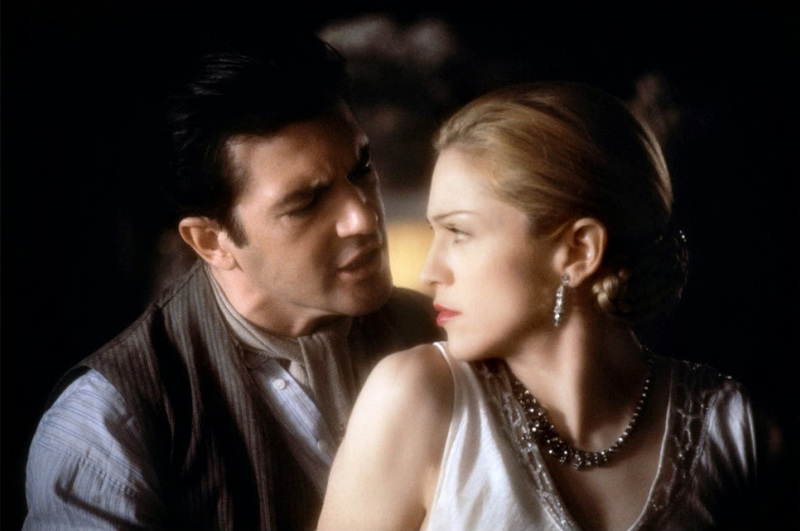 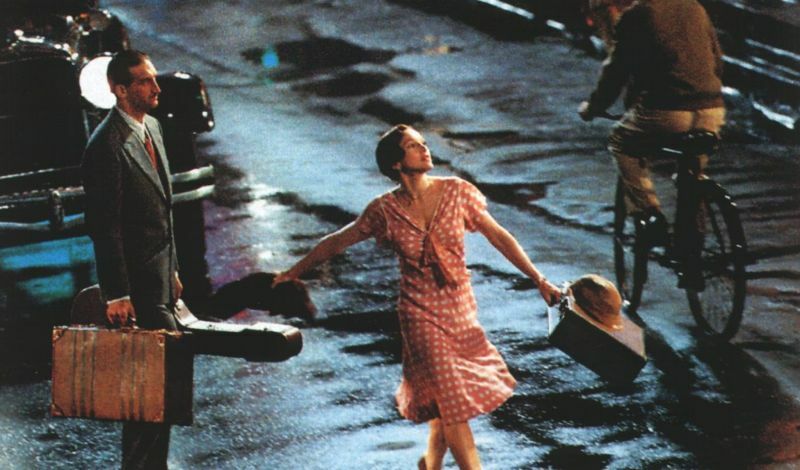 Madonna convinced Alan Parker that she was perfect for the role by sending him her Take A Bow video, in which she's inspired by Evita. 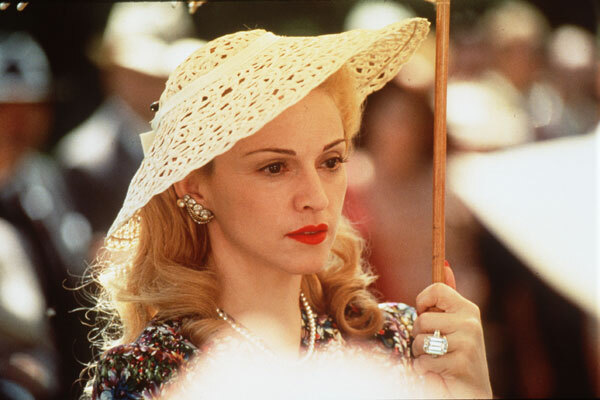 During the filming of the movie, Madonna got pregnant with Lola, after which the filming dates were drastically restructured. 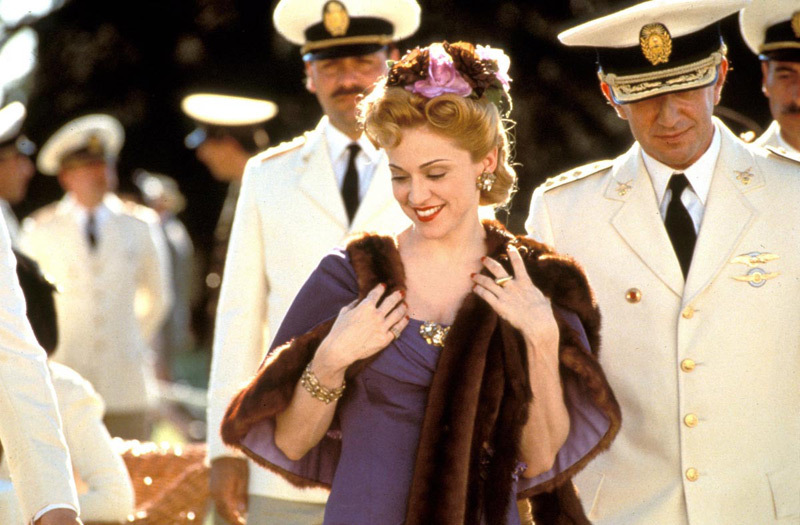 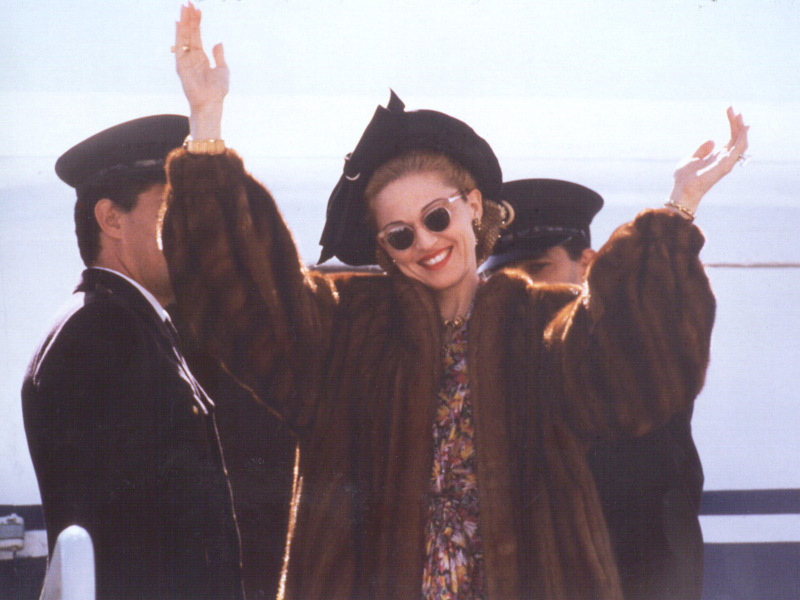 With Evita, Madonna holds the record for the most number of costume changes in a film. 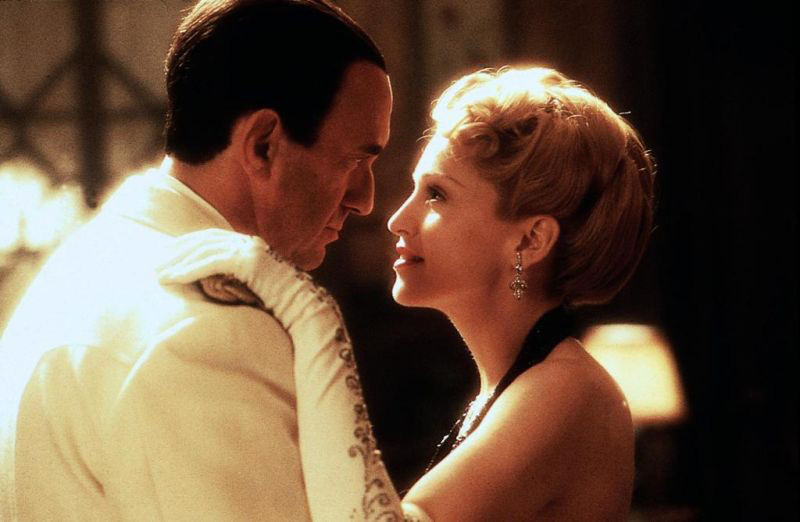 The record was previously held by Elizabeth Taylor for the 1963 film Cleopatra (65 costume changes). 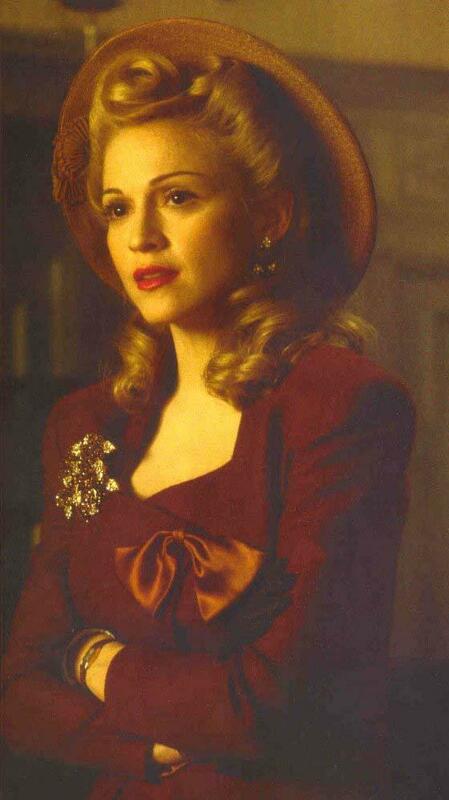 In Evita, Madonna changed costumes 85 times (which included 39 hats, 45 pairs of shoes and 56 pairs of earrings). 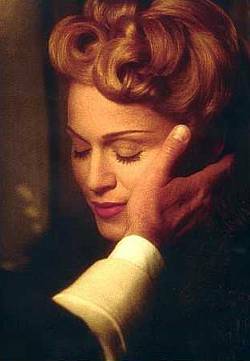 The song "You Must Love Me", which was written specifically for the film, has since been added to productions of the show on stage. 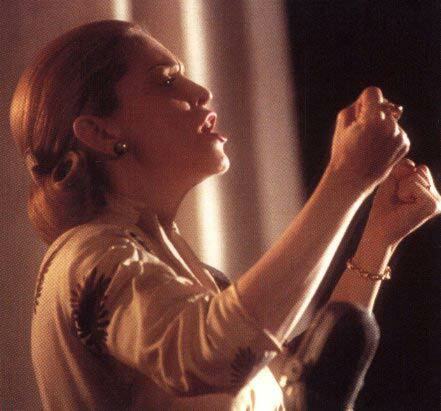 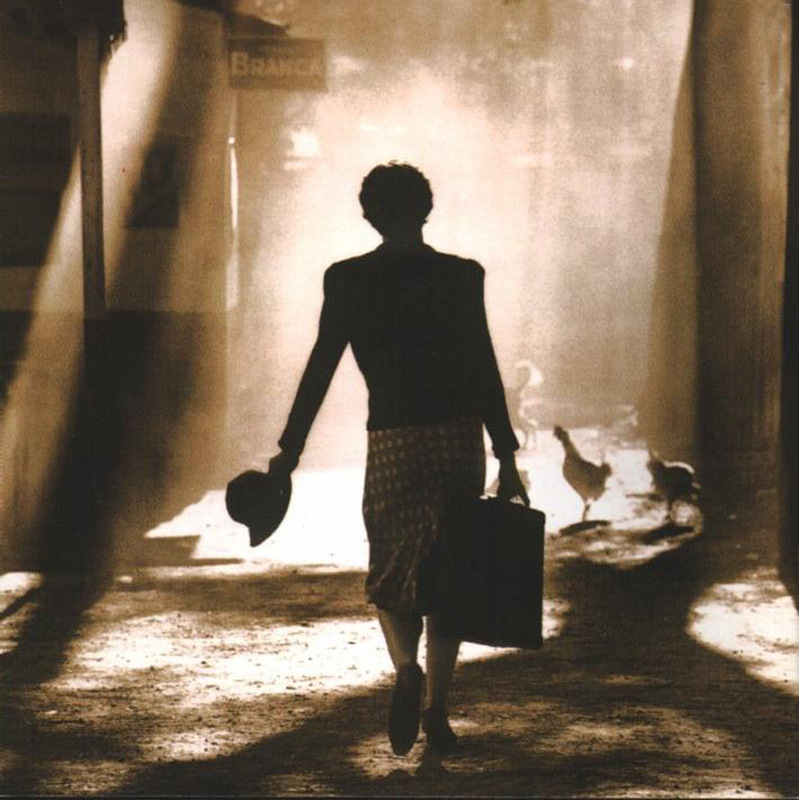 Read more about the movie soundtrack in our Discography section.